Swami’s words have inspired humanity for generations. Bharathy spares nobody in his invocation to munificence. Our thoughts may be high and aspirations noble. Yet harsh realities bring us down to earth. However much the sun may scorch Moolai, a park like surrounding will provide a hospitable environment. To a rational individual Moolai doubling its current land availability of five acres would seem basic. The expenses on the totality of all other assets can be easily computed by an architect and doctors conversant with the subject. A rule of thumb preliminary attempt would suffice for the moment. Needless to say, the scale will be a few hundred million rupees. At first sight itself, diaspora participants as major partners would seem vital. Why should investment be so high? In the perception of those who have gone through the mill, there are three essentials of life which are necessarily high cost: Health, Education and Housing. Adding the word affordable doesn’t make them viable nor even acceptable. Having them with all complements has become a compulsion. Settling down to varying degrees of dilution is never an option. Since 1945 following on the end of World War II, the medical world has progressed phenomenally and changed visually on facilities. Internet has brought them all before our eyes. Medical miracles too are easily seen on screen. As with expanding knowledge so with rising demands and vaulting aspirations. Sri Lanka too has been in the process of modernization in the delivery of health services. Buildings and equipment display that change. A few have trickled to the North as well. An architect designed building housing a private hospital replete with modern equipment and providing most of the services has made its entry into Jaffna. In a comment to the earlier article on Moolai, a link is given by Anpu about Northern Central Hospital. It is a medium size institution operational from 2012 and is situated 2km from the Teaching Hospital. It can serve as a template for others private or Cooperative. Moolai of course needs several such replications. Among the comments on the article is one from Dr. R. Surenthirakumaran who is among noted personages engaged in the resuscitation of Moolai. In a link given by him are 13 presentations from a symposium in London. They give a broad idea of what is envisaged for Moolai and for Jaffna. More importantly the citizenry is becoming aware of the thought process that has already taken place and also of the great parameters that are being contemplated. What is noteworthy is that ideas are pegged high as per the words of Valluvar – “Ulluva thellam uyarvullal”, let all thoughts be elevated, may all thinking soar high, planning be widest in scope and the beneficiary circle embrace all strata. When translated contextually and not literally, the initiators are seen reaching for such norms and wider horizons. Proactive and constructive views are seen in the comments to the article and they come from many sides of the globe. Remarkably, the presenters at the Symposium with wide ranging specialist experience have conveyed their views quite candidly. With a touch of realism, they have linked their activities with the political process in North Sri Lanka in a bid to move together. The NPC Minister Dr. Sathiyalingam a medical man himself made a long presentation both exhaustive and informative giving a graphic account of the situation prevailing. With 17 year service, hands on experience in Vanni and 3 years as Minister, he highlighted the issues on ground and the challenges ahead. A practical way of going forward as mapped out by him was Diaspora contribution and public private participation. Yes, this is the most viable option to develop the health sector for the Northern Province in the next 10 years or more. To rope in the widest spectrum, extensive communication among diaspora in the continents of Europe, North America and Australia is high in urgency. Fair numbers in other countries too have a share to make. May it be known that according to independent dispassionate surveys, Sri Lankan Tamils score high in educational attainments and professional training among refugees. It is also well understood that second generation Tamils rank high in professional segments. Indians have had a longer history of settling abroad. Their culture of remittance is long standing and was never punctuated by internal civil unrest. Hence the remittance curve has always shown an upward curve. Now India ranks first in foreign remittance. Studies show that this phenomenon is explained by the dominance of professionals’ contribution. The participation of SL Tamils in this process shows a different profile. Reasons are well known, yet blasting the blocks, fund flow needs to be eased. In my article dated October 27, 2015 in Colombo Telegraph on Demobilization, I have highlighted the ever burgeoning military expenditure making poor relatives of Health and Education. This phenomenon will continue, making the state derelict in its obligations and forcing socially minded individuals to prospect for funds for decades on end. This endeavor cannot proceed on the basis of charity and donations in perpetuity. With regard to running the hospital, the Board of Management has already effected a turn around. In the financial year ending April 2016, the Hospital has earned a revenue of Rs. 28 million of which a sizeable amount is profit. Profit is an index of efficiency and dedicated work. The performance augurs well for the great plans of the doctors and the Board deserves the plaudits of the community. A viable recipe to this writer is a mix of ethnic nationalism not neglecting personal advancement. They are not mutually exclusive. Society and individuals to benefit apace. MIOT with clear perceptions can make it work. Appoint A Pro Bono Advisory Council To The Monetary Board! MOOLAI HOSPITAL A WORTHY CAUSE.THANKS Mr.SIVATHASAN. fOR MORE INFORMATION GO TO http://WWW.MOOLAIHOSPITAL.COM. I NOTICED MANY PEOPLE HAVE CONTRIBUTED.HENCE MY SMALL MONTHLY CONTRIBUTION OF £10 PER MONTH BY BANKERS ORDER. FOR INFORMATION OF OTHERS BANK DETAILS AS BELOW. BANK NAME; PEOPLES BANK CHANKANAI JAFFNA SRILANKA. MY IMAGINATION TO BUILD A SUPER HOSPITAL PROVED VERY EASY. I WILL LEAVE OTHERS TO MAKE IT HAPPEN. 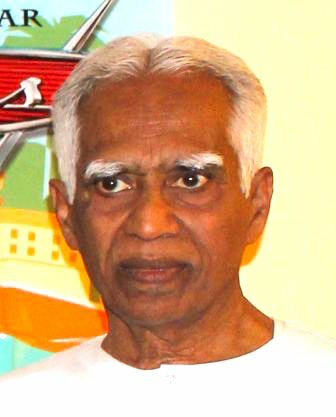 THERE ARE ABOUT 400,000 TAMILS ALL OVER THE WORLD WHO ARE TOGETHER WORTH IN BILLIONS. DO WE STILL WANT TO BEG POOR SRILANKA GOVERNMENT HELP US? CAN WE COPY ISRAEL? Already many individuals and many charities are providing help to the people and to various projects. In my humble opinion there is lack of coordination. What are our MPs doing? Interview with Bishop of Batticaloa https://www.youtube.com/watch?v=EfEuLsazYMU . This is from a BISHOP. We are patients of Moolai Hospital. The services it provides are important for us. The facilities have improved during the last years after the war ended. Thank you for that. Is the idea to try to replicate NCH in Moolai? Is there a market for such an expansion? I wonder about how realistic this approach would be. At the moment Moolai Hospital has a doctor (GP) and nurses around the clock. A handful of consultant doctors like a general surgeon, eye surgeon, dental surgeon and cardiologist come from Jaffna once a week for some hours. Most consultants never visit Moolai Hospital because of lack of patients and the distance. X-ray machines, an ultrasound scanner, equipment for dental surgeon and other expensive stuff has been donated by diaspora. These are used only some hours every week because there is nobody to use them most of the time. The anesthesiology machine (what is the correct word?) that was donated is never used or is it? Is it not the same for the delivery room? Has a baby been born there? I have only heard of eye operations. The radiographer comes only on Sunday mornings and there is no radiologist. Moolai Hospital can receive machines and repair buildings but from where do the professionals come from? Is it likely that more doctors will come from Jaffna to work in Moolai when there are already plenty of private clinics and hospitals in Jaffna near the JTH? Some consultants will find a handful of patients once a week but won’t visit Moolai every day because it is not worth while. Doctors fees are about 550-800 rupees. Examinations and medicine will cost extra. There is a thriving elderly ward. How many patients and elderly can afford these services? Do the current fees reflect enough the fact that the capital cost of the donated equipment was zero? I urge you all to study existing and available resources and the local health care market before investing more time and money in Moolai. Please comment and feel free to correct the facts. Thank you very much for exposing the reality. It could not have come from a better source. Unless they are corrected by others I believe you. Present management board of the Cooperative Hospital Moolai is thankful to Mr.Sivathasan and his team to highlight the progress of the hospital. After great struggle, now the hospital is able to function with limited facilities and generate substantial income to sustain it functions. This is not possible without the support of hard working staff at the ground and continuous generous support of the friends and well-wishers of the hospital, living all over the world. As correctly indicated in the article, many well-wishers helped us to reactivate the hospital from the damage which was caused by the protracted civil war. Hospital should expand the facilities to provide high quality services for the people in the area for affordable cost. Hospital is really designed to provide various level of services to the community by our visionary ancestors. Services are provided for low cost. There are free services rendered by the hospital with the support of well-wishers. At present, the hospital is providing limited services to the public due to the limited resources and the facilities. Present board is very keen and also try best to expand the services to the community. We need more support from the well-wishers living all over the world to deliver the expected services. There is a growing health need of the community which could not be catered by the state alone. In particularly, the care of elderly people with several co-morbidities is really challenging one. If the hospital gets enough facilities, it can start the community oriented health care service which is not available with the state sector. Hospital can build up the home based health care services with the support of the community centers. This will help the hospital to work with the community and will become as community own health care center. We need proper mobile vehicles and trained team to provide such services at household level. We also need to improve the inward and operation theatre facilities inorder to provide high quality services for affordable cost. This will also create great number of employment opportunities for our youths. New direction of the hospital is to provide rehabilitation and palliative care services for the elderly people with all kind of ailments due to aging and chronic diseases without enough support by the existing family and social supportive structure. Present board is very optimistic and having hope to achieve the expected outcomes inorder to provide the universal health care for the people in the region with the support of generous, devoted and highly motivated well-wishers living all over the world. We have another opportunity to show the world that the co-operative movement is still successful. Thank you very much for the author and the team for their support by publishing the articles in right time. I think this is the high time for us to work together to build up the institution. You are in the co-operative services. President, Management Board, Co-operative Hospital Moolai. Thank you for your work with the hospital and the community. Please do not forget that the patients need a peaceful and safe environment. I took an elderly relative to the hospital several times some months ago. We noticed that there is a lot of heavy traffic. Would it be possible to arrange speed bumps and take other measures to reduce the speed of vehicles in front of the hospital? Another problem we noticed was the loud music coming from one of the many temples near the hospital. How can the patients rest and recover in a place disturbed by loud noise? Sorry to say that I would not pay to stay in your hospital if there is noise like during our short visits. I kindly ask you and the Board of Management to contact necessary authorities and the temples to guarantee that the hospital is safer and more peaceful. We felt bad for the people in the elderly ward. May I suggest that community health care is developed as a state-private-diaspora initiative. There can be no question that this is one of the priorities of the Provincial Ministry of Health under Dr. Sathiyalingam. Jaffna Medical Faculty Overseas Alumni present their 12th International Meeting and Fundraising Musical Concert. The event will take place at the Holiday Inn in Wembley on Saturday, 16th July 2016 from 6pm till midnight. The organisers invite you to support their project for developing a children and adult cardio-pulmonary resuscitation programme in hospitals in the north and east of Sri Lanka. Performance by Super Singer, Priyanka from Vijay TV’s hit competition Super Singer. Canapes, soft drinks and dinner are included within the ticket price. Were you paid to write the articles? All charity goes and help SL foreign reserve. The official Begging industry flourish there and very fruitful. The money is cleverly diverted to non north easterners. 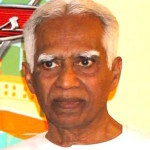 Modaya Tamils Still provide to SL war efforts. Cooperative is a socialist idea. It won’t work without political freedom and support. The Srilankans and especially Jaffna Tamils think everything must be given free. I know the toils of taking my sick mother to Jaffna Hospital by taking her in buses, where we had to connect with 3 buses to to go to Jaffna hospital . Not to mention that we had to wait in queue with 200-300 patients. It takes the whole day for a brief and flimsy encounter with a busy doctor. Now thanks to our diaspora, we have brought back the Non-Profit service of Moolai hospital after the interruption by armed forces. One of the bloggers bemoaned that the facilities such as Obstetric suites and Anesthesia machinery are not in current use at Moolai. Also was the complaint that patients have to pay 500 to 800 rupees. What is our alternative? Can the government (with its present attitude towards Tamils) take sole responsibility for the health of Jaffna citizens. Or is the government service free? What about the tax paid by hard working public !.Once we strengthen functioning of Moolai hospital, other services like Obstetrics and Anesthesia will expand slowly. If we do not support semi-private health sector our health care will go down. Our Health Care will be the worst among the nine provinces just like our Education Dept (which is run by our government). When was this? If money is not a problem I suggest taking an auto or private ambulance to the private hospitals in Jaffna town. In the evenings, Saturdays and Sundays most doctors and examinations are available except CT, MRI and some others with very expensive equipment. My impression is that the NPC is running Education and Health in the province but has to follow rules from Colombo to some extent. Do you have a source for your claim that the school results in the NP are the lowest in the country? Did I misunderstand you? Have you noticed the sorry state of the private schools that receive foreign funding? Wise presentation. Private care for the wealthy, Moolai Hospital with diaspora funding for the less wealthy and government hospitals for the masses. Our politicians, of course, will fly to Singapore for treatment. The NPC Minister Dr. Sathiyalingam a medical man himself made a long presentation both exhaustive and informative giving a graphic account of the situation prevailing. With 17 year service, hands on experience in Vanni and 3 years as Minister, he highlighted the issues on ground and the challenges ahead. A practical way of going forward as mapped out by him was Diaspora contribution and public private participation. All these wonderful ideas are only possible because the last Government spent thousands of Sinhala lives defeating the terrorists. Please remember that. There are plenty of funds among the diaspora to help Health and Education in the North and South. These funds are a waste if given to government hospitals and schools because they are accounted for in the government budget.Once the government sees private funding to a hospital then it will balance it in the next budget. That is why we must fund Non-Profit hospitals Moolai. Low cost healthcare is better than no health care.